This demo (ZIP, 84MB) contains levels 3 through 6 of the full game. Interestingly the final screen states that there are 40 action-packed levels. Since in reality there are only 30 playable levels, it would appear development was cut short. 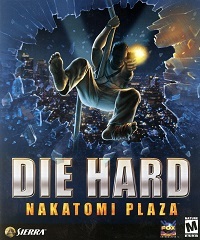 Another splash screen refers to 38 levels, as well as weapons like the H&K MP5 and Beretta 92F, weapons which were also left out of the final game.